In past few months, there is a lot of buzz about abolishing triple talaq, a practice by which a Muslim man can divorce his wife by uttering the word ‘talaq’ three times. The buzz is positive, if we look it in sense of a step to bring down gender disparity, but many suspects the foul play in the Government stance. They are accusing the Government that they are hiding things under ‘triple talaq’ debate to impose the Hindu values on Muslim and other minor communities. They maybe right or they maybe wrong but before getting into any conclusion, let us start with a little backstory. The divorce in Islam is not purely Quranic. Opposite to the popular belief, it is based on Quran, Hadiths and many Muslim sub-communities based man-made laws. There are various interpretation of At-talaq, Chapter 65 and other related verses of Quran relating to the divorce. 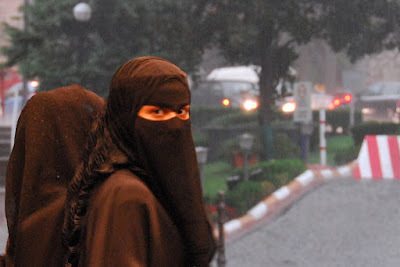 On one hand, few Sunni schools don’t believe in concept of triple talaq in one sitting, and according to them, each utterance should followed by Iddah, a waiting period of three months, and on other hand, there are Sunnis who believes in concept of triple talaq, but also regard it as sinful. Similarly, Shias do not have concept of triple talaq or written talaq. For talaq, they require two male witness, and person need to clarify his intentions for divorce. Though, there are no such conditions in Sunni Islam. Again, opposite to popular view, woman can get talaq through tafwid (delegation). The tafwid, which can be made before or during marriage, with or with any conditions. Moreover, woman can ask for talaq through Khula, by filing a petition to qazi (or qadi) for divorce under certain conditions. In Ahsan form, the husband pronounces talaq to his wife in her tuhr (non-menses period) and does not establish any physical contact with his wife for the period of iddah, usually a period of three months. If, in any case, he regrets his decision, talaq can be voided but if the period of iddah is compelete, it becomes irrevocable. In Hasan form, husband utters talaq thrice but not in one sitting. He pronounces it once for next three months. If he changes his mind, he can cohabit with his wife. Iddah is usually a period of three months, or according to Islamic belief, a period of three menstrual cycles, to determine whether women are pregnant or not. If she is pregnant, iddah can be extended to nine months or the time of delivery. She is also entitled for maintance during the iddah and husband cannot force her to leave house during this period. After the period of iddah, she became untouchable for her. Once Iddah is over, the woman is free to go and start afresh. She can marry anyone of her choice except her ex-husband. When woman marries another man and then her husband dies, or divorces her, the marriage of the woman with her second husband is known as Nikah Halala. If a man wishes to marry his ex-wife, he can marry only her after Nikah Halala. Though, a pre-planned Halala is haram, but many ulemas say, if it is done, it is valid. According to many Islamic scholars, Halala was introduced, so men can learn, it is they who have to bear the cost of talaq if they have given the talaq for the invalid reasons. For woman, she can reassess her life and start things afresh from a new perspective, not in shadow of an abusive and exploitive husband. Talaq-ul-Biddah is an age old practice as old as Islam and sinful according to Quran, but widely practiced among Muslim community. In talaq-ul-biddah, husband can divorce her wife by uttering talaq for three times in one session. Moreover, a husband can divorce his wife by writting the letter. To make things even worse, nowadays, talaq over skype, Whatsapp and SMS is also valid. It is said, Talaq-ul-Biddah was formulated to encounter abusive husbands, who physically and emotionally exploit their wives. As some men pronounce a revocable talaq, then reconciles, and resume cohabitation. A few years later under some influence, they pronounce revocable talaq and then again resume cohabitation. Now whenever they announce the third talaq, it will count as irrevocable one. Nevertheless, the triple talaq became norm in our country, thanks to patriarchy and lack of education, even when it is deemed sinful. Islam is also changing along with the modern times. There are more than 21 Islamic states, which have abolished the talaq-ul-biddat (Triple Talaq) in their states. Egypt is the first country to abolish triple talaq, and according to Egyptian law, as explained by Muhammad Munir, a divorce accompanied by a number expressly or implied, shall count only as a single divorce and such a divorce is revocable except when three talaqs are given, one in each tuhr. The countries, which have abolished triple talaq along with Egypt, are Syria, Jordan, Iraq, Sudan, Morocco, Kuwait, Yemen, Afghanistan, Libya, Kuwait, Qatar, Bahrain, UAE, Sri Lanka, Pakistan and Bangladesh. Though, Islam also have provision for woman to get talaq from their husband. It is said, woman cannot divorce her husband, and she gets talaq from husband. Talaq-ul-tafwid refers talaq where a woman can initiate talaq through tafwid (delegation). Tafwid can be made at the time of marriage contract or during the marriage, with or without conditions. Khula is the right of a woman in Islam to seek divorce or separation. She can apply her petition at Qazi or in Islamic community panels. Based on traditional fiqh, referenced in the Quran and hadith, khula allows a woman to initiate a divorce through the mutual consent of the husband or a judicial decree. Story of Jamilah, wife of Thabit ibn Qays, a Sahaba, who was converted in Islam by Prophet Muhammad, himself. The wife of Thabit ibn Qays came to the Prophet and said, “O Allah’s Apostle! I do not blame Thabit for defects in his character or his religion, but I, being a Muslim, dislike to behave in un-Islamic manner if I remain with him.” On that Allah’s Apostle said to her, “Will you give back the garden which your husband has given you as Maher?” She said, “Yes.” Then the Prophet ordered to Thabit, “O Thabit! Accept your garden, and divorce her once. If husband press charges of adultery, and they are proved false, the wife is entitled to sue and obtain divorce. Though this is not applicable to Sahih marriage. The woman also can approach Qazi (or Qadi) for dissolution of the marriage if the marriage is irregular or the marriage is not within assumed degrees of fosterage. Along with Tafwid, Khula, Lian and Fasq, there are legal options available to woman for the dissolution of marriage under Dissolution of Muslim Marriages Act 1939. You can read about the condition here on Legal Service India. The current debate as many believe, not about challenging Muslim personal divorce procedure, but about abolishing triple talaq (talaq-ul-biddat), which is also deemed sinful in Quran. There are many factors which have led to the current debate, and two of the major factors are: patriarchy and lack of education. The lack of education coupled with patriarchal societal values has made Muslim women vulnerable than anyone else. Thanks to lack of education, they cannot start the life on their own in these modern times. Either they have to live with their close relatives or they have to opt for low paying jobs. Though, in both cases, they are mentally and physically exploited. There is another factor which have led to current situation is minority appeasement. The Indian political class never saw the minor communities especially Muslim community as the citizens of this country. To them, they are just vote bank. A reform to curb down any religious malpractice is Big No because they are going to have elections now and then, soon. Though the debate about marriages and triple talaq was started back in pre-Independence era but Angrez did not offer any help. However, after Independence, India’s first Prime Minister Jawaharlal Nehru and the Constituent Assembly’s Chairperson B.R. Ambedkar recommended the Uniform Civil Code to tackle the issues of polygamy, divorce, inheritance and adoption. But thanks to minority appeasement, the idea was shelved due to heavy opposition. However, Hindu Personal law, which also covers Sikh, Buddhist and Jains, were codified except Muslim and Christian Person laws. Though the debate return in 1978, when a 62-year-old Muslim mother of five, Shah Bano, filed the case against her husband who divorced her to marry a young girl. Seven year later, when the case reached Supreme Court of India in 1985, the Court invoked Section 125 of Code of Criminal Procedure, and made the decision in favor of Shah Bano. The Supreme Court also regretted that Article 44 of the Constitution of India in relation to frame of common civil code for the country remained a dead letter. A common civil code will help the cause of national integration by removing disparate loyalties to laws which have conflicting ideologies. Though the Supreme Court ruling was seen as an attempt to impose Hindu values over the minor communities and things were politicized. The Shah Bano case became a national issue, where a section believed that it is a forward move toward gender equality and other believed it is an attack on their religion. After the Shah Bano judgment, many of the prominent Congress leader asked then Prime Minister Rajiv Gandhi, to come up with a law to overturn Supreme Court ruling, or otherwise they will anti-incumbency in next election. The INC hastily came up with The Muslim Women (Protection of Rights on Divorce) Act 1986, and nullified the Supreme Court judgment. According to the newly enacted act, made section 125 inapplicable to Muslims and it only gave a Muslim woman the right to maintenance for the period of iddah (about three months) after the divorce, and shifted the onus of maintaining her to her relatives or the Wakf Board. Though, The Muslim Women (Protection of Rights on Divorce) Act 1986, not able to save Indian National Congress from 1989 General Election fallout. The party never regained it’s premier position since then. If by any chance, the Supreme Court of India, directed the Government of India to form the civil code, or Rajiv Gandhi opted for a Uniform Civil Code, instead of discriminatory The Muslim Women (Protection of Rights on Divorce) Act 1986, things might be bit different now. Moreover, nothing has changed over the time, except governments. Even now, the Government wants a directive from Supreme Court and Supreme Court wants Government of India to develop a blueprint for Uniform Civil Code and conscience among minor communities. Unlike the both extremes, the Government stance is both political and apolitical. If one looks at the current political scenario, and upcoming legislative assembly elections in various states, the BJP-government wants to fetch votes outside its traditional voters, the not-so-radical-ones, women and youth, who are in support of progress and gender equality. They are especially targeting women with their Uniform Civil Code agenda, because it is they who are going to benefit them most. On another hand, it is simply apolitical because it is talking about the change.